Hello everyone! 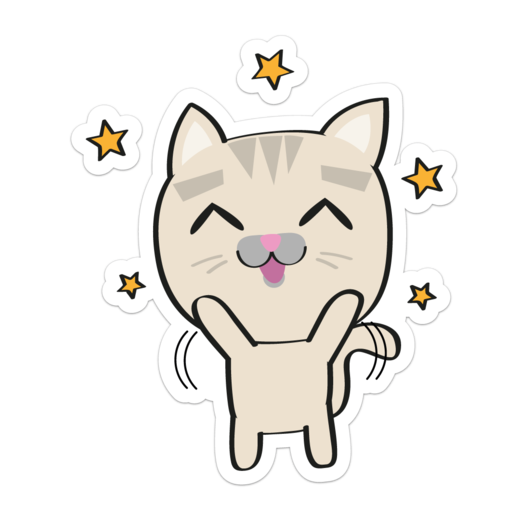 I'm still grinning from being editor's pick! What an honor! I've been busy with trying to go out as much as I can these few days before I fly back later! Just packed half of my bag and I don't wanna go home😭 gimme some time, I'll reply to all comments! I'd dayre about my trip after I get back cos my pictures are all over the place, camera & iPhone! 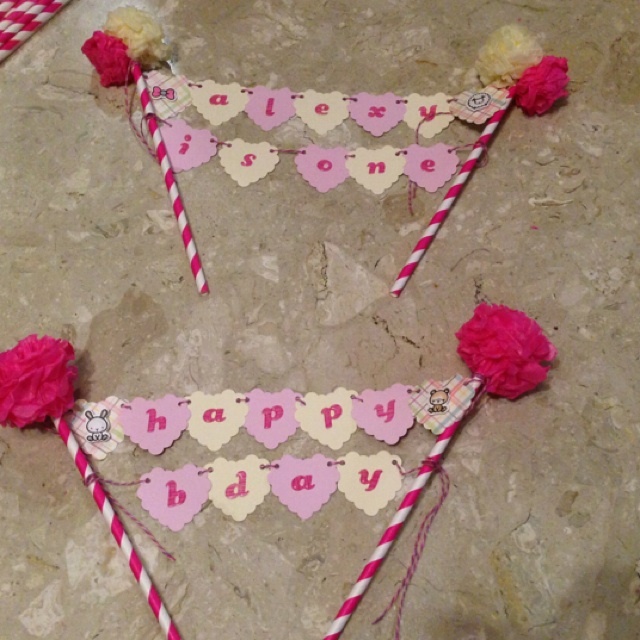 So i thought I would share some pictures of the birthday decorations I did for Evonne's cousin recently during her 1st birthday! 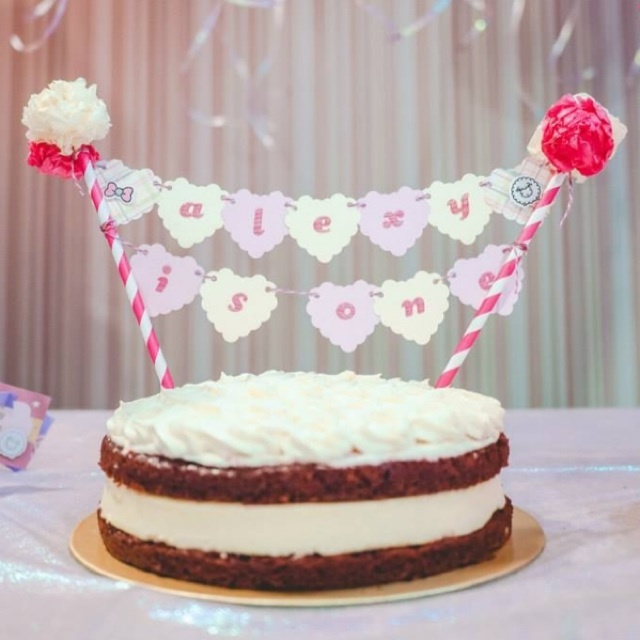 It was Alexy's first birthday and the color theme was purple, pink & white! 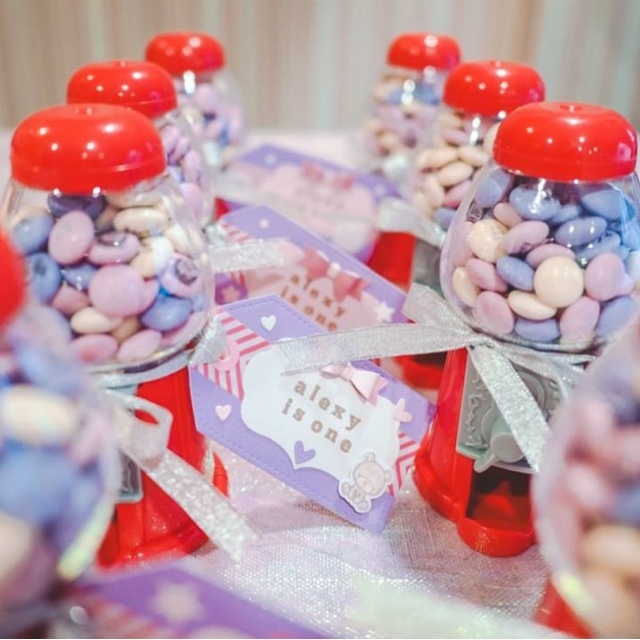 Alexy's mum bought the gum ball machines from the US & even ordered some customized M&Ms! 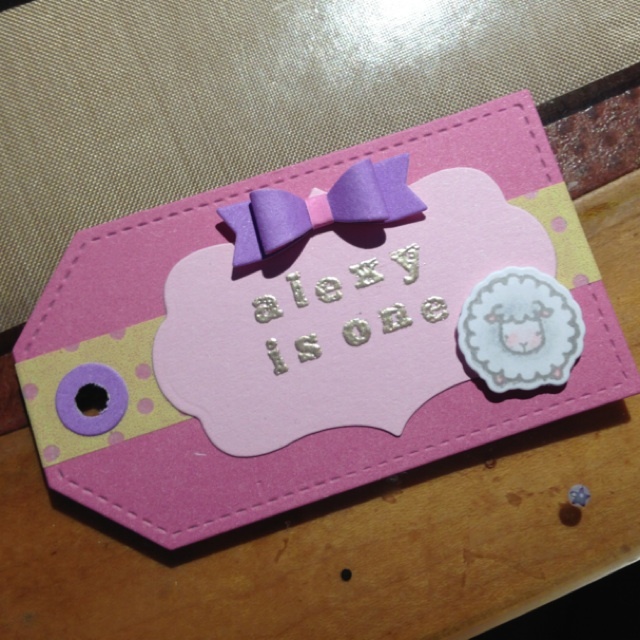 Here's a look at the finished tag! Thanks to @evonnz for helping me with her aunt's taste and for helping out & having fun together. It's Livelovehoard's first commissioned work and it was such an experience! So, the dies and stamps, paper and all the other supplies came in really handy for this! 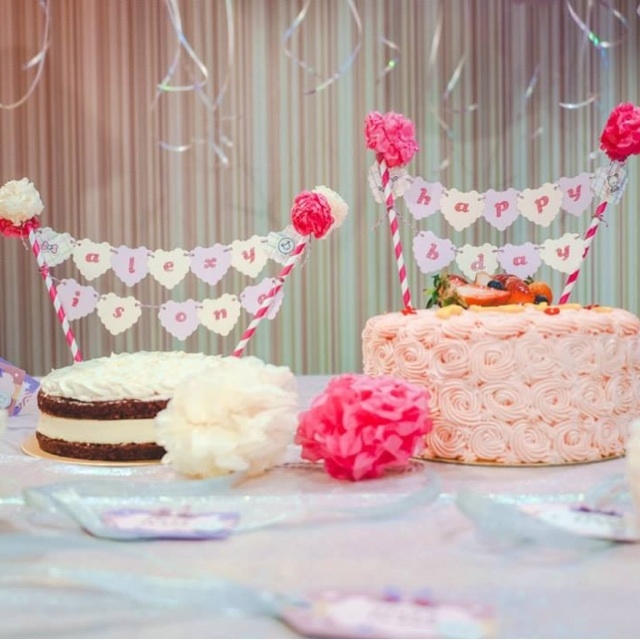 I also did the cake banners in the same theme! So sweet! Some variations in color for the tag and of cos, washi tape! 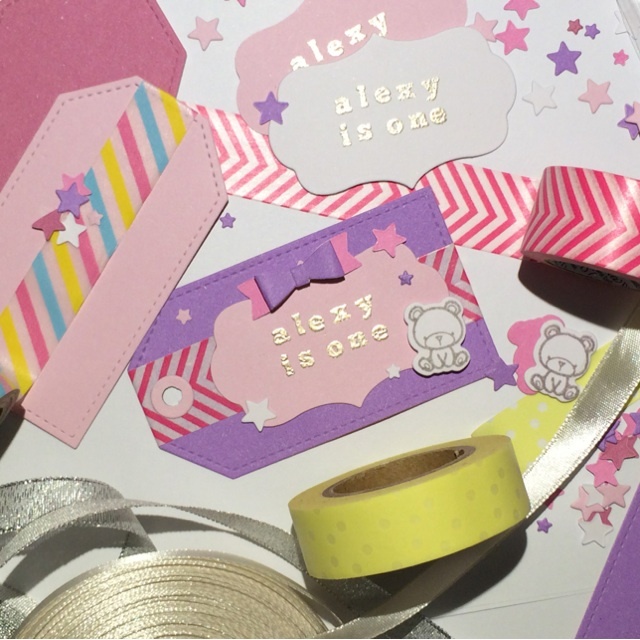 Use your washi tapes to dress your tags up! Everything was handmade and put together from scratch! Here's the link one! My favorite were the pink ones cos it was super sweet looking! 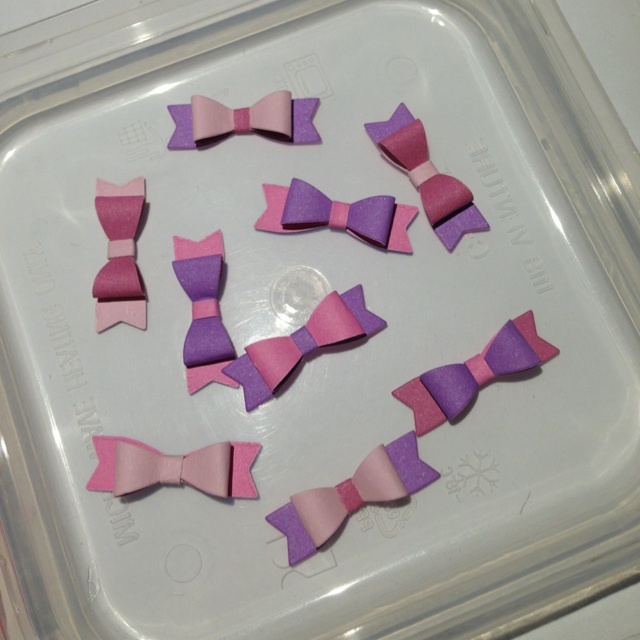 Most dies were from an US scrapbooking brand and the bows were assembled too and made of paper! Fell in love with that sheep 🐑 stamp! Sooooo cute! It was stamped, colored and then die cut out! 🎀 Bows 🎀 all assembled! These were so tiny but I think it was all worth it because they are so cute and dainty! I was telling my friends, every single time I finished assembling a bow I would go "aww, this is just too cute!" I guess that's what keeps you going! When you get all 😍 with the end product and when everyone goes "it's so cute!!!" This was die cut from paper and assembled with glue. Bows are so in trend right now and I can totally understand why! What's there not to love? I apologize for the horrible picture as I was rushing to get everything done I didn't have any time to take proper pictures! It was my first try at doing these so I was really more concerned about getting it done properly. The letters were die cut and embossed so they all had a glossy thick finish, something like a glassy look, like epoxy! Thanks to my BFF Shirleen who did the pom poms with me! She's a pro at it! 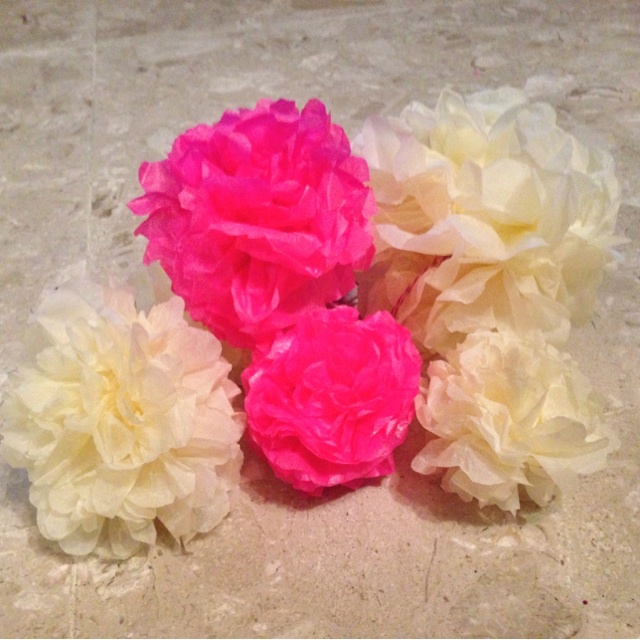 Maybe I should do a tutorial one day on Pom poms! These are so addictive to make! It's really not that difficult and I really can't bring myself to buy them outside because it's so expensive! 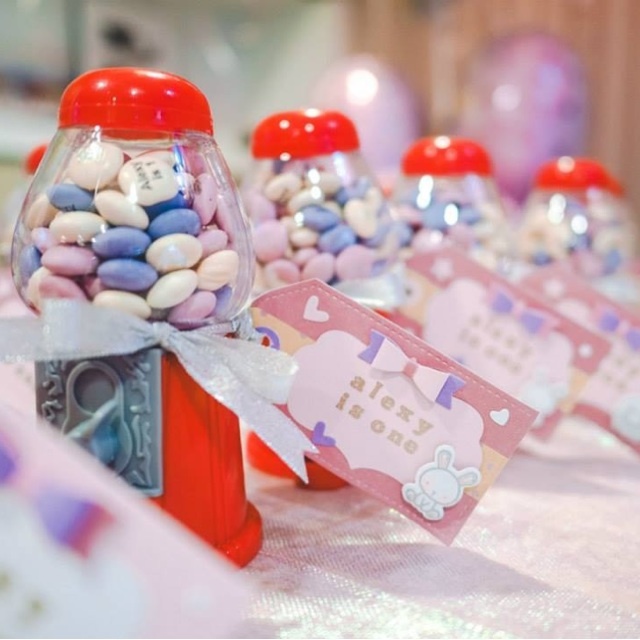 Evonne was having so much fun making these too she was really happy to paste the little hearts and stars on! 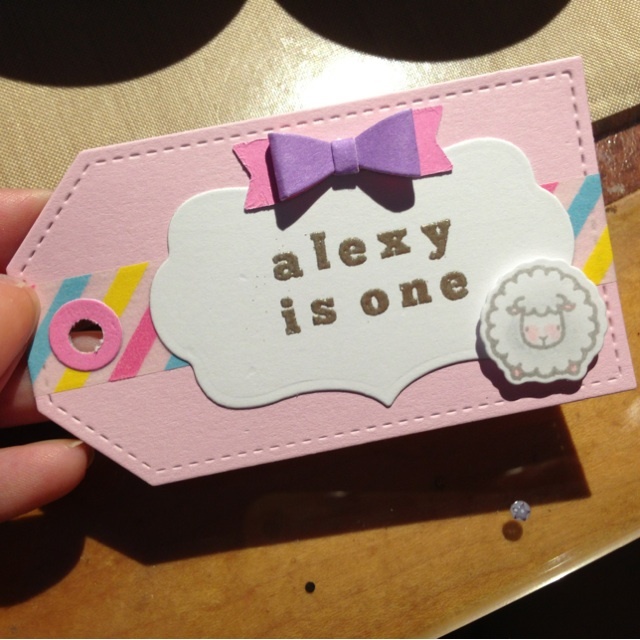 After these little finishing details, the tag was super cute!!! I really love how all the colors go so well together! 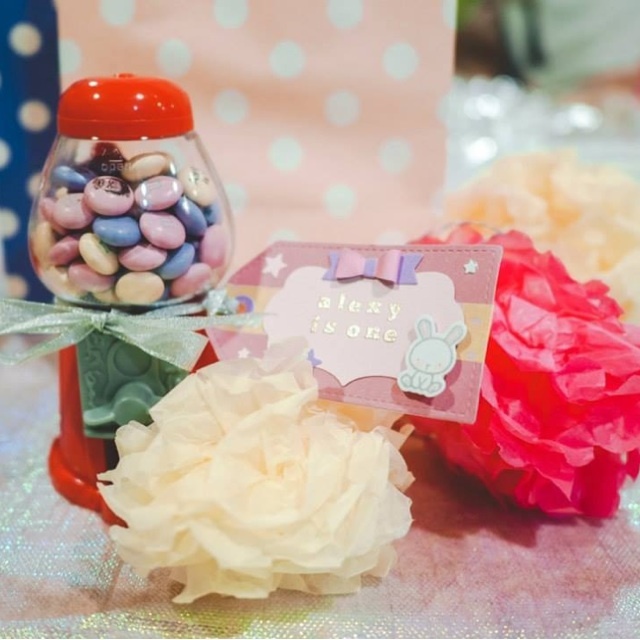 And there, my first experience with DIY-ing the party favor tags and banners! Not the best but the whole experience was really fun! Big thanks to Evonne & her aunt for this opportunity! 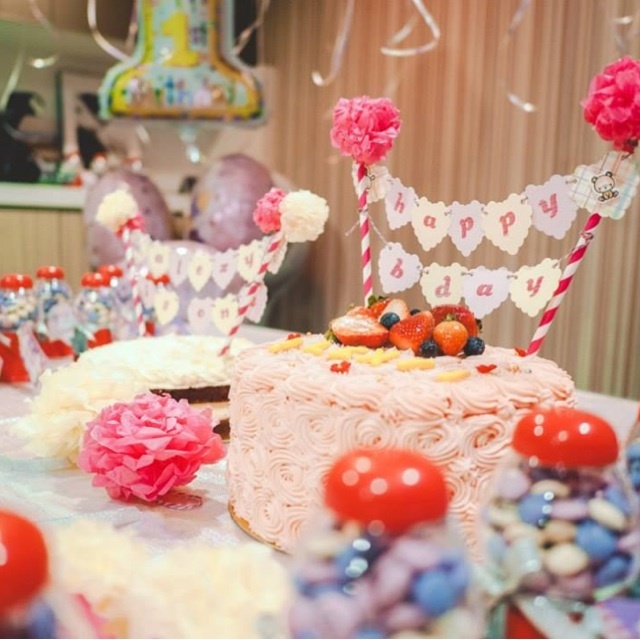 And without Evonne, i wouldn't have the photos from the party! Thanks for the professional looking pictures dear! norinchua So much effort!! I believe its all handmade one by one ❤️ so pretty! tangledshe So pretty and cute! You're a craft queen! Also, I agree with the pom-pom part, when I first went to find out how to make them and learnt. The pre-packed ones sold outside are so expensive! littlekutu Please do tutorial on pompom pls LOL !! selathor Omg you are so talented!! Is there a tutorial you used for the bows? They're so cute Id love to try making them! michychoi Too talented you!!! My DIY efforts for my sis bday is like peanuts compared to yours and I was dying. I wondered how you did it. Hehe.